Decline is the second release of Allure of Stellar, a musical project consisting of guitarist and bassist Jerome Rollet and his laptop. Coming from Glasgow UK, and with just one other EP released in 2016, he has already succeeded in defining his own style of cinematic instrumental music. The record introduces itself with a symphonic sounding string layer that is soon topped by a deep and punchy guitar riff combining two radically different musical elements into a seamless contrast. The clash between orchestra and progressive metal seems to be the defining element that gives Allure of Stellar its unique print. The EP takes you through a cinematic journey of ups and downs, creating vivid and lively sounds. At the foundation, there’s a thick groovy bass & drums skeleton on top of which the melodies are put together. The rhythmic aspect has obvious djent influences, and especially the bass reminds of Periphery’s low-frequency department. This underlying layer is also enhanced by fantastic, surprisingly clear-sounding production. The guitar solos and leads are the centerpiece of the album. Some shredding and tricky technical riffs come around at times but the album is focused a lot more on being cohesive and expressive rather than technical. Combining the groovy side with this rich guitar work, the orchestral aspect and the occasional spacey effects the music builds up to a very dynamic and immersive soundscape. For people who are used to being constantly engaged by vocals, instrumental music often feels incomplete, but Jerome has no problem keeping you hooked until the end. There’s always an extra “zing” that fills the gap and having heard many different instrumental projects, I feel like he understands exactly what the music needs in order to stay interesting. Despite that, he has kept the album concise and on point rather than trying to stretch it into a full length that would end up dragging. As a fan of well-made instrumentals, and having huge respect for independent musicians, I have to recommend this record! 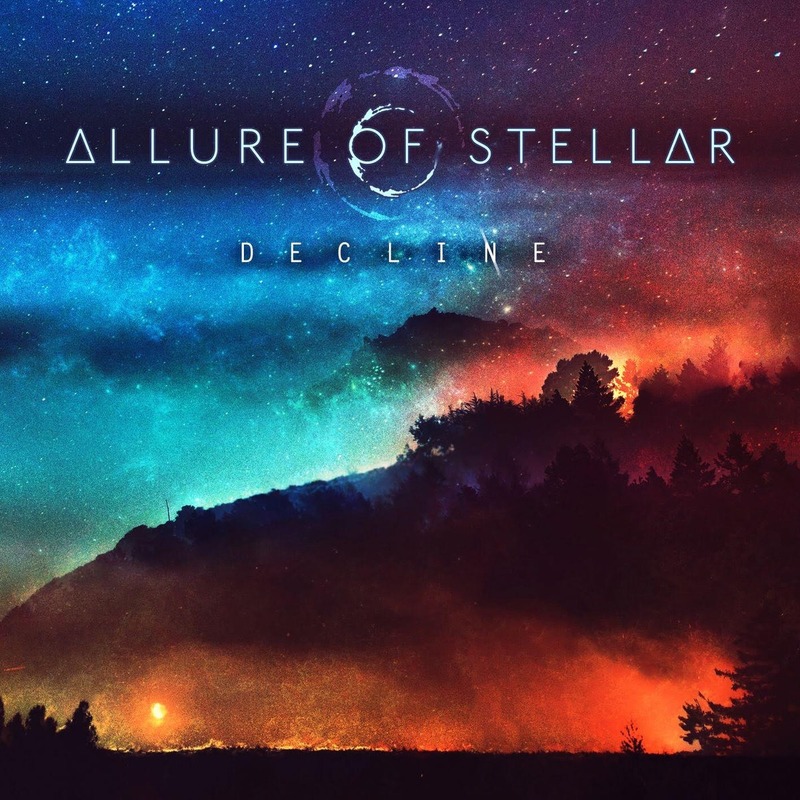 This entry was posted in Bands, Djent, Progressive Metal, Reviews and tagged 9/10, Allure of Stellar, Ambiance, atmospheric, Decline, djent, Glasgow, instrumental, prog, progressive, progressive metal, UK. You’re very welcome! I hope it helps!